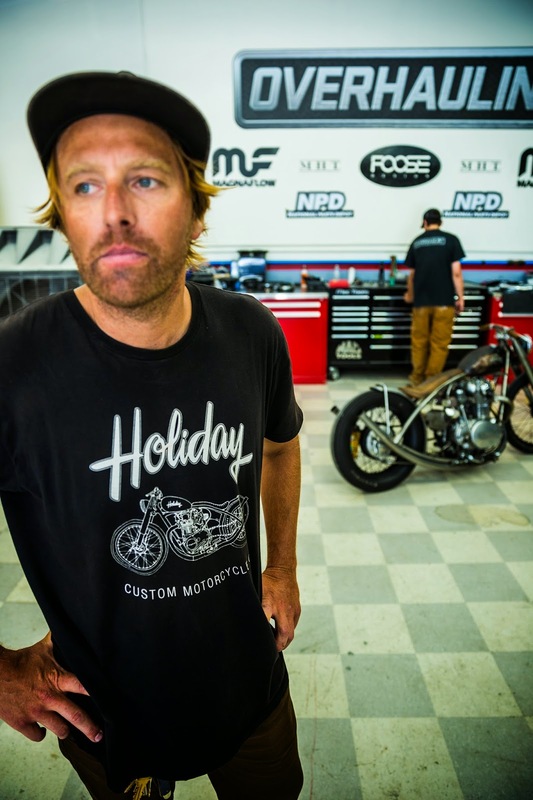 Chris Jacobs and I ham'n it up in the shop. 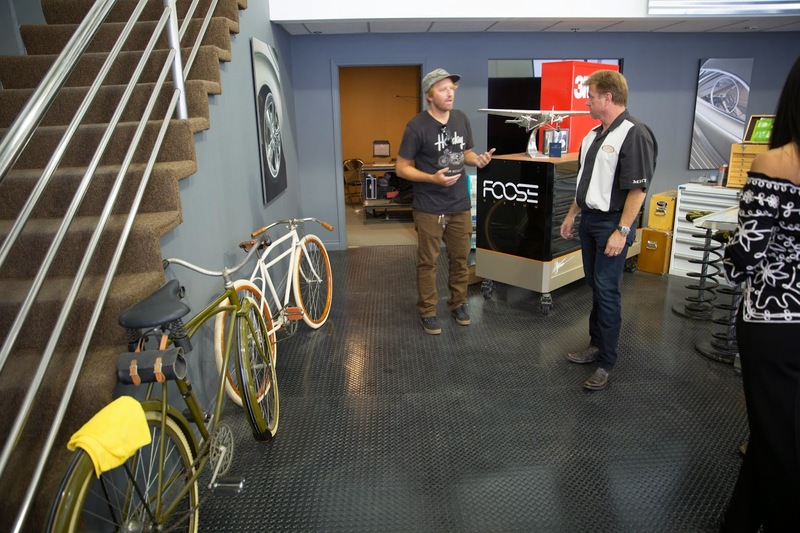 Chip came over to give us a tour around and show some of his cars and bikes. little did we know this wasn't even close to all of his collection, he has so much cool stuff. 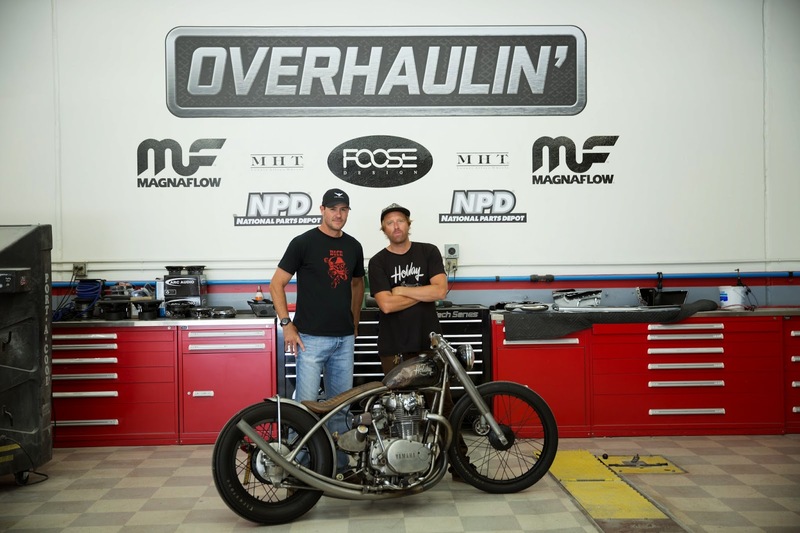 Chip and Chris came out to check out my bike, it was an honor to have a building living legend like Chip Foose take a knee and check out my build. It was a great day seeing the behind the scenes of the show and meet the cast and crew. Took off in the late afternoon riding down the 101 from huntington to san clemente when my throttle cable broke in Dana point, didn't really mind after such a good day. 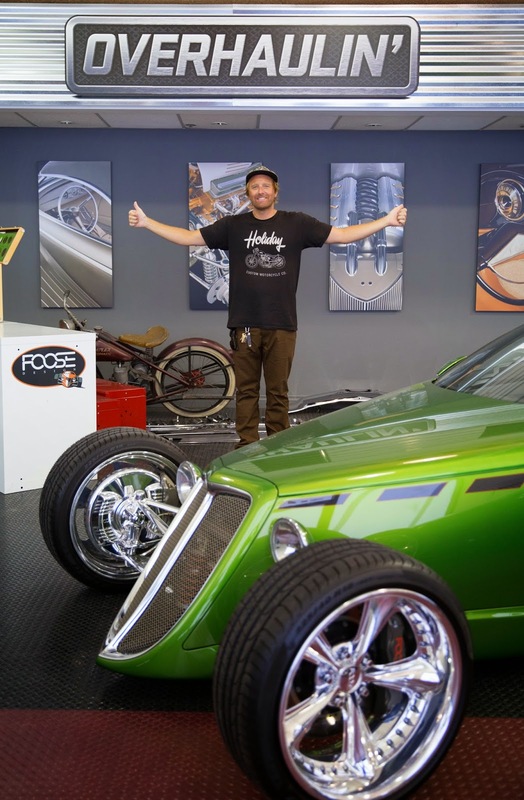 Chip Foose is a living legend. Keep doing what your doing and you'll get there I'm sure. I just wanted to say The Rusty Bike was as cool as it gets. 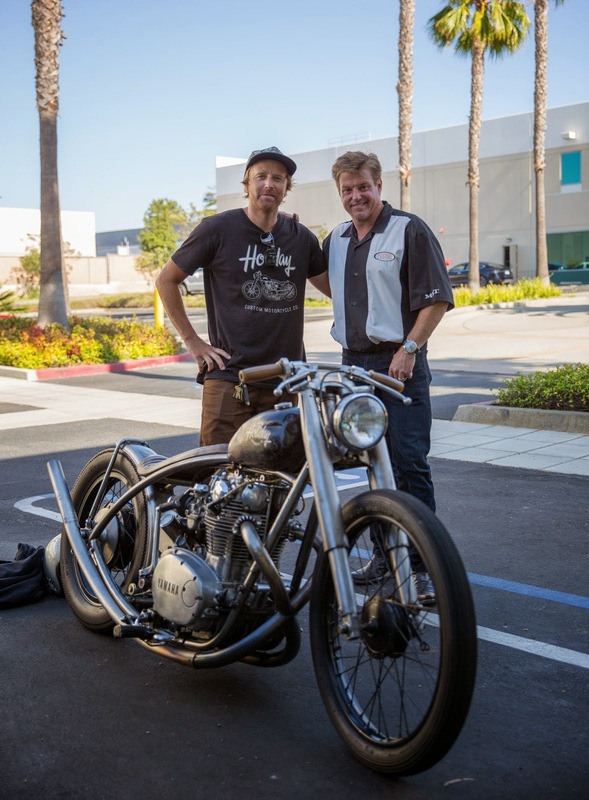 I read that you lowered the the bike. I also have a 1971 cb450....what was the front end to back end lower ratio? Sorry if that's a stupid question. I'm trying not to kill my self.